Earlier this year, at the MWC 2017 tech show, Qualcomm demonstrated a 5G modem. Back then, the size of the modem was like a medium-sized briefcase, and Qualcomm said it has to fit the entire architecture of the modem into a memory card sized module to make it usable in the smartphones. And today, at the 2017 4G/5G Summit in Hong Kong, Qualcomm said that it successfully achieved a 5G data connection on a 5G modem chipset for mobile devices. Named as the Qualcomm Snapdragon X50 5G modem, this chipset delivered gigabit speeds and a data connection in the 28GHz mmWave ratio frequency band. Now, this innovation from Qualcomm will drive a new generation of cellular technology going forward. 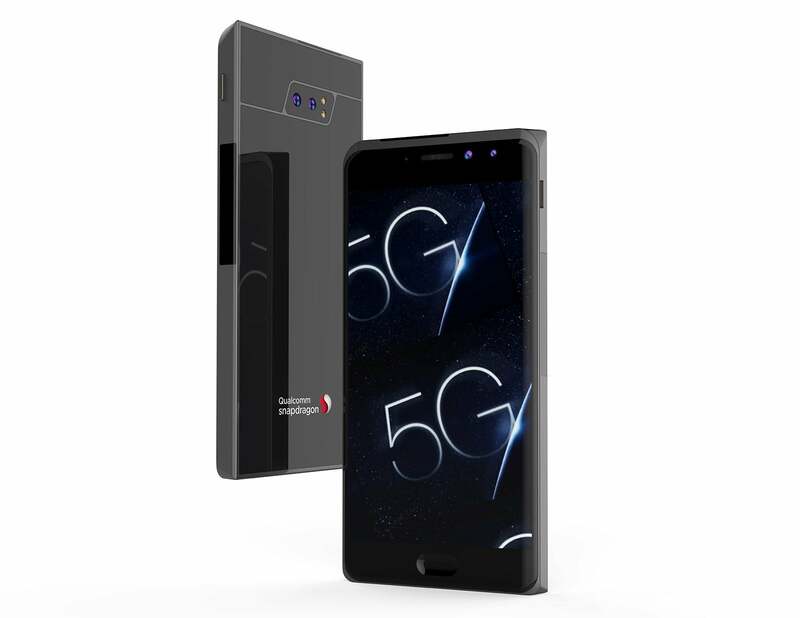 Additionally, Qualcomm Technologies previewed its first 5G smartphone reference design for the testing and optimization of 5G technology within the power and form-factor constraints of a smartphone. Qualcomm achieved the 5G data connection in Qualcomm Technologies’ laboratories in San Diego. The chipmaker achieved gigabit download speeds, using several 100 MHz 5G carriers, and demonstrated a data connection in 28GHz millimetre wave (mmWave) spectrum. The 5G NR mmWave is a new frontier for mobile, now made possible through the 5G NR standard, and is expected to usher in the next generation of user experiences and significantly increase network capacity. In addition to the Snapdragon X50 5G modem chipset, the demonstration also utilized the SDR051 mmWave RF transceiver integrated circuit (IC). The demonstration utilized Keysight Technologies’ new 5G Protocol R&D Toolset and UXM 5G Wireless Test Platform. As said earlier, Qualcomm was the first company to announce a 5G modem chipset earlier this year, and the ability to progress from a product announcement to functional silicon in twelve months is a great achievement from the company. The Snapdragon X50 5G NR modem family is expected to support commercial launches of 5G smartphones and networks in the first half of 2019. The upgradation cost to 5G will have to be borne by the consumers but in the end it’ll be all worth it by Y2020. Even if it launches by 2022,I will be happiest person in India!!!!! If 2.3GHz can’t really penetrate through building walls, how are they gonna do that with 28GHz spectrum? I guess they’ll have to add 10 times the amount of small cells to boost coverage in the cities.